Limited liability companies are popular legal vehicles for holding assets. 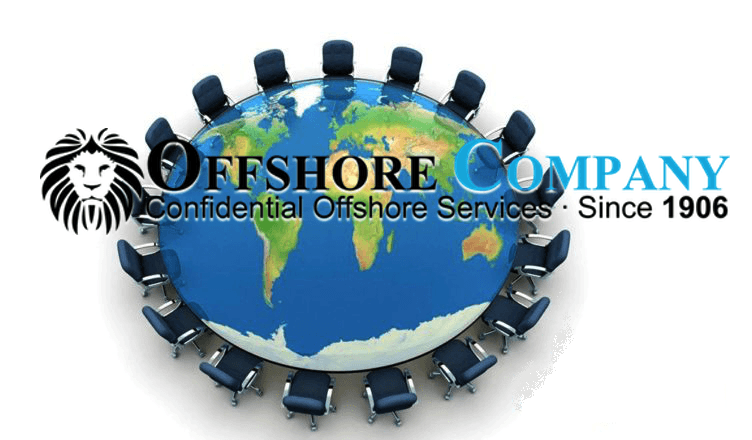 The following is a comprehensive offshore company jurisdiction comparison chart among countries that offer limited liability companies (LLCs). If you have questions about which jurisdiction is right for you, call the telephone number above or complete the inquiry form found on this page. Copyright 2018 General Corporate Services, Inc. All Rights Reserved. Abu Dhabi 2 1 Yes No USD 41,000 No corporate or personal income taxes. No withholding tax. Ajman 1 2 No Yes USD 50,000 0% Corporate Tax Rate. Tax basis is territorial. Albania 1 1 No No EUR 1 15% Corporate Tax Rate. Tax basis is worldwide. Algeria 1 1 No Yes USD 1,000 26% Corporate Tax Rate. Tax basis is territorial. Andorra 1 2 No No EUR 3,000 10% Corporate Tax Rate. Tax basis is worldwide. Angola 1 2 No No USD 1,000 35% Corporate Tax Rate. Tax basis is worldwide. Anguilla 1 1 Yes No No minimum Capital Reqmt 0% Corporate Tax Rate. Tax basis is territorial. Antigua & Barbuda 1 1 No No No minimum Capital Reqmt 0% Corporate Tax Rate for International Companies. Argentina 2 2 No Yes USD 300 35% Corporate Tax Rate. Armenia 1 1 No No EUR 1 20% Corporate Tax Rate. Tax basis is worldwide. Aruba 1 1 No No No minimum Capital Reqmt 25% Normal Corporate Tax Rate. Various tax exempt regimes are available. Austria 1 1 No No EUR 10,000 25% Corporate Tax Rate. Taxation is on a worldwide basis. Azerbaijan 1 1 No No USD 1 0% Corporate Tax Rate for International Companies. Bahamas 1 1 No No No minimum Capital Reqmt 0% Corporate Tax Rate. Tax basis is territorial. Bahrain 2 2 Yes No USD 2,660 0% Corporate Tax Rate. Tax basis is territorial. Bangladesh 2 2 No No USD 1 35% Corporate Tax Rate. Tax basis is worldwide. Barbados 1 1 No No No minimum Capital Reqmt 25% Corporate Tax Rate. Belarus 1 1 No No EUR 1 18% Corporate Tax Rate. Belize 1 1 Yes No USD 1 0% Corporate Tax Rate. Tax basis is territorial. Bermuda 1 2 Yes Yes USD 1 0% Corporate Tax Rate. Tax basis is territorial. Bolivia 1 2 No Yes USD 1 25% Corporate Tax Rate. Bonaire 1 1 No No USD 0 5% Corporate Tax Rate. British Virgin Islands 1 1 No No No minimum Capital Reqmt 0% Corporate Tax Rate. Tax basis is territorial. Brunei 1 2 No Yes USD 1 20% Corporate Tax Rate. Tax basis is territorial. Burundi 1 1 No No USD 1 30% Corporate Tax Rate. Tax basis is territorial. Cameroon 1 1 No Yes USD 1,900 33% Corporate Tax Rate. Tax basis is territorial. Central African Republic 1 1 No No USD 1800 30% Corporate Tax Rate. Tax basis is territorial. Chad 1 1 No No USD 1650 40% Corporate Tax Rate. Tax basis is territorial. Comoros Island 1 1 Yes Yes USD 1,763 35% Corporate Tax Rate. Tax basis is territorial. Congo 1 1 No Yes USD 1,100 30% Corporate Tax Rate. Tax basis is worldwide. Cook Islands 1 1 No No No minimum Capital Reqmt 0% Corporate Tax Rate. Croatia 1 1 No Yes EUR 2,500 20% Corporate Tax Rate. Tax basis is worldwide. Curacao 1 1 Yes Yes No minimum Capital Reqmt 0% Corporate Tax Rate for International Companies. Cyprus 1 1 Yes No EUR 1 12% Corporate Tax Rate. Tax basis is worldwide. Delaware 1 1 Yes No USD 1 Tax transparent. Tax basis is worldwide. Dominica 1 1 Yes No USD 1 30% Corporate Tax Rate. Tax basis is territorial. Dominican Republic 1 2 No No USD 2,300 28% Corporate Tax Rate. Tax basis is territorial. Egypt 1 2 Yes Yes USD 1 22.5% Corporate Tax Rate. El Salvador 1 2 Yes Yes USD 1 30% Corporate Tax Rate. Tax basis is territorial. Ecuador 2 2 No No USD 800 25% Corporate Tax Rate. Tax basis is worldwide. Equatorial Guinea 1 1 No No USD 2,000 35% Corporate Tax Rate. Tax basis is worldwide. Estonia 1 1 No No USD 2,500 20% Corporate Tax Rate. Tax basis is worldwide. Ethiopia 1 2 No No USD 200,000 30% Corporate Tax Rate. Tax basis is worldwide. Eritrea 1 1 No No USD 1,500 34% Corporate Tax Rate. Tax basis is worldwide. Finland 1 2 No Yes EUR 2,500 20% Corporate Tax Rate. Tax basis is worldwide. Georgia 1 1 No No USD 1 15% Corporate Tax Rate. Tax basis is worldwide. Ghana 2 1 Yes Yes USD 50,000 25% Corporate Tax Rate. Tax basis is worldwide. Gibraltar 1 1 Yes No GBP 100 10% Corporate Tax Rate. Tax basis is worldwide. Greece 1 1 No No EUR 4,500 26% Corporate Tax Rate. Tax basis is worldwide. Grenada 1 1 No No No minimum Capital Reqmt 0% Corporate Tax Rate for International Companies. Guam 1 1 Yes No USD 1,000 35% Corporate Tax Rate. Tax basis is worldwide. Guatemala 1 2 No No USD 260 25% Corporate Tax Rate. Tax basis is territorial. Guernsey 1 1 Yes No No minimum Capital Reqmt 0% Corporate Tax Rate for International Companies. holders Secre-tary Reqmt Resident Director Reqmt Min. Guinea-Bissau 1 1 No No EUR 1,525 25% Corporate Tax Rate. Tax basis is worldwide. Guyana 1 2 Yes No No minimum Capital Reqmt 0% Corporate Tax Rate for International Companies. Haiti 1 3 No No USD 500 30% Corporate Tax Rate. Tax basis is territorial. Honduras 1 2 No No USD 250 25% Corporate Tax Rate. Tax basis is worldwide. Hong Kong 1 1 No No USD 1 0% Corporate Tax Rate for International Companies. Iceland 1 1 No Yes EUR 3,500 20% Corporate Tax Rate. Tax basis is worldwide. Isle of Man 1 1 Yes No No minimum Capital Reqmt 0% Corporate Tax Rate. Tax basis is worldwide. Italy 1 1 No No EUR 1 27.5% Corporate Tax Rate. Tax basis is worldwide. Jamaica 1 1 Yes No USD 1 33% Corporate Tax Rate. Tax basis is worldwide. Jersey 1 1 Yes No GBP 1 0% Corporate Tax Rate. Tax basis is worldwide. Kazakhstan 1 1 No No USD 1 20% Corporate Tax Rate. Tax basis is worldwide. Kosovo 1 1 No No EUR 1 10% Corporate Tax Rate. Tax basis is worldwide. Kyrgyzstan 1 1 No No No minimum Capital Reqmt 10% Corporate Tax Rate. Tax basis is worldwide. Corporate Tax Rate. Tax basis is worldwide. Laos 1 1 No No USD 125,000 24% Corporate Tax Rate. Tax basis is worldwide. Latvia 1 1 No No EUR 2,800 15% Corporate Tax Rate. Tax basis is worldwide. Liberia 1 1 Yes No USD 1 0% Corporate Tax Rate. Tax basis is territorial. Libya 1 1 No Yes USD 740,000 20% Corporate Tax Rate. Tax basis is territorial. Liechtenstein 1 1 No Yes EUR 30,000 12.5% Corporate Tax Rate. Tax basis is worldwide. Lithuania 1 1 No No EUR 2,500 15% Corporate Tax Rate. Tax basis is worldwide. Macedonia 3 1 No No EUR 5,000 10% Corporate Tax Rate. Tax basis is worldwide. Madagascar 1 1 No No USD 1 20% Corporate Tax Rate. Tax basis is territorial. Madeira 1 1 No No EUR 1 5% Corporate Tax Rate. Tax basis is worldwide. Malawi 1 1 No Yes No minimum Capital Reqmt 0% Corporate Tax Rate for International Companies. Mali 1 1 No No USD 1,700 30% Corporate Tax Rate. Tax basis is worldwide. Malta 1 2 Yes No EUR 1,160 35% Corporate Tax Rate. Tax basis is worldwide. Marshall Islands 1 1 Yes No No minimum Capital Reqmt 0% Corporate Tax Rate. Tax basis is territorial. Massachusetts 1 1 Yes No USD 1 35% Corporate Tax Rate. Tax basis is worldwide. Mauritania 1 1 No No USD 3,500 25% Corporate Tax Rate. Tax basis is territorial. Moldova 1 1 No No EUR 300 12% Corporate Tax Rate. Tax basis is worldwide. Montenegro 1 1 No No EUR 1 9% Corporate Tax Rate. Tax basis is worldwide. Montserrat 1 1 No No USD 10,000 0% Corporate Tax Rate for International Companies. Morocco 1 2 No No USD 1,000 30% Corporate Tax Rate. Tax basis is territorial. Mozambique 1 2 No No USD 1 32% Corporate Tax Rate. Tax basis is worldwide. Namibia 1 1 No No USD 1 33% Corporate Tax Rate. Tax basis is territorial. Nauru 1 1 Yes Yes No minimum Capital Reqmt 0% Corporate Tax Rate for International and Exempt Companies. Nepal 1 1 No No USD 1 25% Corporate Tax Rate. Tax basis is worldwide. Nevada 1 1 Yes No No minimum Capital Reqmt 35% Corporate Tax Rate. Tax basis is worldwide. Nevis 1 1 No No No minimum Capital Reqmt 0% Corporate Tax Rate for International Companies. Niger 1 1 No No USD 2,000 30% Corporate Tax Rate. Tax basis is territorial. Nigeria 1 2 Yes No USD 60,000 30% Corporate Tax Rate. Tax basis is worldwide. Niue 1 1 Yes No USD 10,000 0% Corporate Tax Rate for International Companies. Norway 2 1 No Yes EUR 3,000 27% Corporate Tax Rate. Tax basis is worldwide. Pakistan 2 2 No No USD 1,000 33% Corporate Tax Rate. Tax basis is worldwide. Panama 3 1 No No USD 1 25% Corporate Tax Rate. Tax basis is territorial. Papua New Guinea 1 1 No No No minimum Capital Reqmt 48% Corporate Tax Rate. Tax basis is worldwide. Paraguay 1 2 No Yes No minimum Capital Reqmt 10% Corporate Tax Rate. Tax basis is territorial. Portugal 1 1 No No EUR 1 21% Corporate Tax Rate. Tax basis is worldwide. Qatar 1 2 Yes No USD 55, 000 10% Corporate Tax Rate. Tax basis is territorial. Rwanda 1 1 No No USD 850 30% Corporate Tax Rate. Tax basis is territorial. Romania 1 1 No No EUR 50 16% Corporate Tax Rate. Tax basis is territorial. San Marino 1 1 No No EUR 12,750 17% Corporates Tax Rate. Tax basis is territorial. Saudi Arabia 1 2 Yes Yes USD 26,665 20% Corporate Tax Rate. Tax basis is territorial. Senegal 1 1 No No USD 2,000 30 % Corporate Tax Rate. Tax basis is worldwide. Serbia 1 1 Yes No EUR 1 15% Corporate Tax Rate. Tax basis is worldwide. Sierra Leone 1 1 No No USD 1 30% Corporate Tax Rate. Tax basis is worldwide. Slovenia 1 1 No No EUR 7,500 17% Corporates Tax Rate. Tax basis is worldwide. Spain 1 1 No No EUR 3,000 25% Corporate Tax Rate. Tax basis is worldwide. St. Maarten 1 1 Yes No No minimum Capital Reqmt 0% Corporate Tax Rate for International Companies. St. Vincent 1 1 Yes No No minimum Capital Reqmt 0% Corporate Tax Rate for the first 25 years. Sri Lanka 1 1 Yes No No minimum Capital Reqmt 28% Corporate Tax Rate. Tax basis is worldwide. Suriname 1 1 Yes No USD 134 36% Corporate Tax Rate. Tax basis is worldwide. Swaziland 2 2 No No USD 1,000 27.5% Corporate Tax Rate. Tax basis is territorial. Sweden 2 1 No Yes EUR 5,620 22% Corporate Tax Rate. Tax basis is worldwide. Switzerland 1 1 No Yes CHF20,000.00 12.5% Corporate Tax Rate. Tax basis is worldwide. Tajikistan 1 1 No No USD 105 15% Corporate Tax Rate. Tax basis is worldwide. Tanzania 2 2 Yes No USD 1 30 % Corporate Tax Rate. Tax basis is worldwide. Togo 1 1 No No USD 1,800 29.5% Corporate Tax Rate. Tax basis is territorial. Tunisia 1 2 Yes Yes USD 500 25% Corporate Tax Rate. Tax basis is territorial. Turkey 1 1 No No EUR 3,300 20% Corporate Tax Rate. Tax basis is worldwide. Turks and Caicos 1 1 No No No minimum Capital Reqmt 0% Corporate Tax Rate for International and Exempt Companies. Uganda 1 2 Yes No No minimum Capital Reqmt 30 % Corporate Tax Rate. Tax basis is worldwide. Ukraine 1 1 No Yes USD 1 18% Corporate Tax Rate. Uruguay 1 2 No No USD 1 25% Corporate Tax Rate. Tax basis is territorial. Uzbekistan 1 1 No No USD 370 9% Corporate Tax Rate. Tax basis is worldwide. Vietnam 1 1 No Yes USD 50,000 20% Corporate Tax Rate. Tax basis is territorial. Yemen 1 1 No No USD 5,000 20% Corporate Tax Rate. Tax basis is worldwide. Zambia 2 2 No Yes USD 1,000 35% Corporate Tax Rate. Tax basis is worldwide. Zimbabwe 1 1 No Yes No minimum Capital Reqmt 25% Corporate Tax Rate. Tax basis is worldwide.